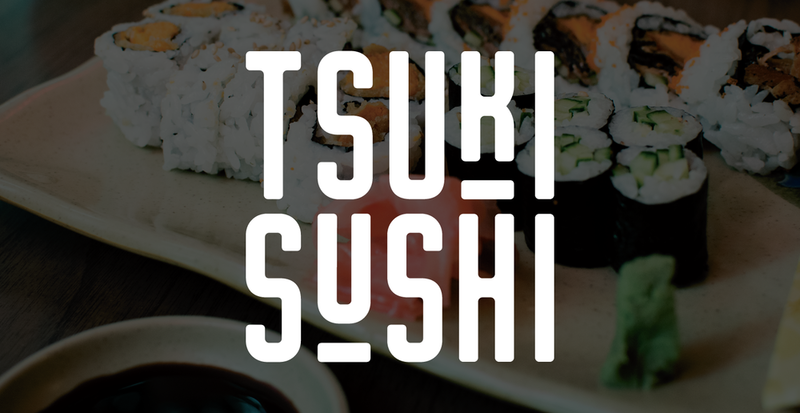 Tsuki Sushi (Tsuki meaning moon in Japanese) is a late night sushi + sake joint that's introducing their new line of soy sauce to the market. The business needs their product to stand out in a busy location and appeal to the 18-34 year old demo. The logo is a moon and the labels are a silhouetted mountainscape. On the reverse side of each label is a moonlight inspired gradient — revealed as the product is used.